Peter Lund Frandsen is back with a new lecture! This time we are exploring ideas and the latest knowledge about water, the human body, biology and consciousness. If you could sort all the molecules in your body and divide them into two piles, one with biological molecules and another with water molecules, you would only find one single “real biology molecule” for every time you put 99 molecules in the water pile. All this water is not floating around like a large inner sea. It is organized and structured in complicated ways. The water is just as organized as your anatomy. 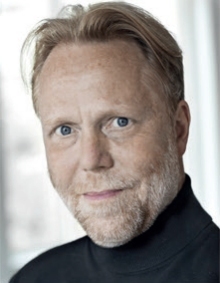 About Peter Lund Frandsen Background: 5 years of medical science in Copenhagen, one year of physics and philosophy in the United States, 35 years following the development of energy medicine, complementary therapist specializing in bioholographic methods such as nerve reflexology and reflexology, international lecturer and teacher. Co-founder and director of Touchpoint and Institute of Integrated Therapies in Copenhagen, Denmark.